ENGLEWOOD, NJ (WPIX) — A school that messed up its students' grades transcripts and attendance records earlier this school year is telling students — many of them honor students — that if they want to graduate, they have to do extra work after school and even on the weekend between now and graduation in two weeks. It's the latest chapter in a series of problems for the school, that's left its families wondering if their students can graduate. Senior Mohamed Saleh is one of the students who received a notice saying that they have to attend the special session. Many of them said it feels like an undeserved punishment. "My grade point average is about, like a 3.5," said Saleh. That's an A-minus average. Despite that, he's been told to be in class for the special courses, to make sure his credits, grades and transcripts are in order. "You have to stay from 3:00 to 5:00 Monday, Tuesday, Wednesday and then Thursday and Friday," he said, describing the schedule for the additional classes. "We have finals, and I have to stay after five hours [after those exams] to make up time." The make-up academic schedule also includes a Saturday session this week. Students and parents say it's all due to problems they did not create. 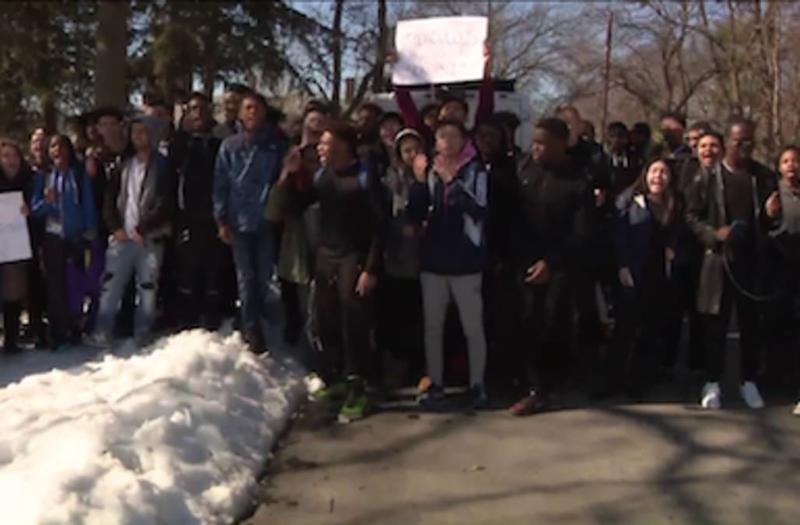 Last February, a majority of the 1,100 students went on strike, demonstrating against problems that they said were created by the school's electronic management software. It created problems with their grades, transcripts and attendance records. As part of an investigation into what went wrong, the school district suspended the principal, some other administrators and some well-liked guidance counselors. "All those staff members that are gone. we can't see them even at graduation, so it hurts for them to be gone," said Bianca Orozco, another senior at the school. Orozco has been accepted to a community college honors program. Her friend, Melissa Quintero, has also been accepted to a college program of distinction, the six-year pharmacist program at Rutgers University. She's still worried about life moving forward with the school problems. "Obviously, it's very emotional," she said. "I want to get out and go to the med program I was accepted into, but with all of this coming into play, I don't even know what's next." Schools superintendent Robert Kravitz said that the extra academic session is meant to ensure beyond a doubt that everyone who wants to graduate is in good standing. He said he wants to make sure everything is done with integrity. "We're trying to be compliant with the law," he told PIX11 News. Families were only notified of the extra academic sessions last Thursday. The classes began on Monday. "It's such last minute notice," said senior Ruby Maury-Jorge. "It's difficult for most students to accommodate that schedule in order for them to move on, and go to the college they got accepted to."